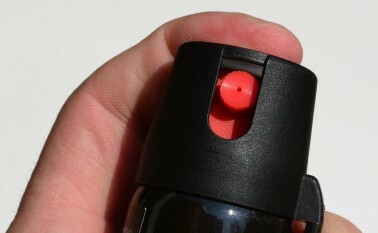 Pepper spray is one of the most common self defense weapons used by women to repel assault and violent attacks. Its main ingredient is Oleoresin Capsicum, an inflammatory agent commonly associated with chile peppers. To ensure maximum damage delivered against your attacker, buy pepper sprays rated at three million to five million Scoville units. Buy disguised pepper sprays that can be hidden in plain sight, there are many spray dispensers shaped as lipsticks, pagers and pens. Aside from giving you the leverage of surprise against your attacker; you won’t have to hide it giving you easy access, allowing you to use it in no time at all. Pepper sprays work best when it comes in direct contact to an assailant’s eyes and nose, so aim for these areas. It can cause major irritation in the eyes that may result in temporary blindness and when inhaled can cause severe coughing fits. These will incapacitate your attacker, giving you the time to escape or call for help. However, be aware that the effects of pepper spray can also affect you, if used the wrong way, and can render you helpless and unable to protect yourself. Once you used it against an attacker, quickly dodge sideways to avoid any spray hitting your own face. But in order to really minimize any chance of your spray back firing and to help you use it correctly and quickly, the best thing you need to do is practice. Practice drawing pepper sprays from places most accessible to you, in a keychain, on your belt, in your purse or in your pockets until you can do so in the least amount of time. 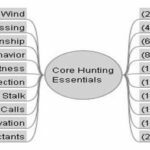 Imagine yourself in violent situations and visualize how you can use pepper sprays to protect yourself. It is even better if you practice with a friend, your sister or any family member, use water sprays in lieu of pepper sprays and stage various attacks that might actually happen to you. Common situations would be getting attacked in parking lots, in the streets while you are walking, in your car or in your apartment while you are opening your door. If you want more professional help in using pepper sprays, attend seminars or enroll in classes that will teach you how. What is important is you get used to using pepper sprays, until using one becomes as normal as breathing or they become an extension of your arm. Another factor you need to consider when using pepper sprays is that they have limited shots, it is important to know how many shots are in the canisters you buy, so you know when you need to replace canisters that are running low. It is also better if you carry two to three pepper sprays with you whenever you leave your house, so you can have back-up. On a side note, although pepper sprays are legal in all states, some have restrictions when it comes to carrying and using them. Know your local laws with regard to pepper sprays to avoid unnecessary conflict with the police.